When Richard and Anna planned their wedding they selflessly requested the following: ‘Rather than have a wedding list, we would prefer it if people could make a donation to the Butterfly Tree charity. This is a charity that works with Zambian orphans whose families have been ravaged by HIV/AIDS, and all of the money from your donations will specifically go to sponsoring a number of individual orphans through school. 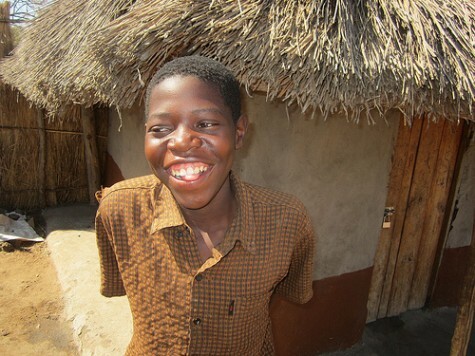 This is a cause that’s really special for both of us, Richard grew up in Zambia while Anna works with children from deprived backgrounds, so it would be wonderful if you give the money you might otherwise have spent on a gift to this fantastic cause’. Richard and Anna raised sufficient funds to sponsor three orphans at Mukuni Basic School for five years, which will enable them to complete high school. Almost fifty per cent of children in Mukuni Village are orphaned as a result of the HIV and AIDS pandemic. It cost £110 ($180) per annum to sponsor an orphan or just £10 per month.